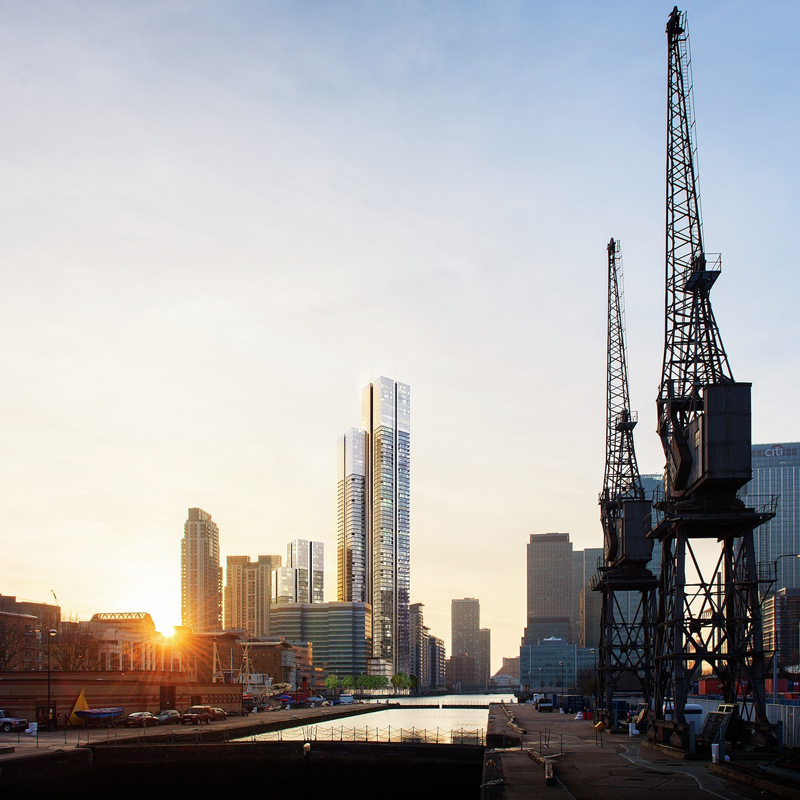 A substantial residential scheme on the Isle of Dogs including four buildings up to a maximum height of 68 storeys. The tall buildings are located south of the Canary Wharf commercial cluster, on the South Dock, and are prominent in many views, including those from the Maritime Greenwich World Heritage Site. Planning permission granted in March 2015 (and for an updated scheme in March 2017).